Hophead at 3.8% is one of our most popular beers and has a huge following across the south coast and I am sure even much further. Hophead is a pale golden colour, cool crisp and refreshing with a slight hoppy bitterness. Many of our customers who drink it say that they seem to get drunk drinking this as opposed to drinking some of the stronger beers. That's because it's too 'moreish' and they always end up drinking more than they realise! 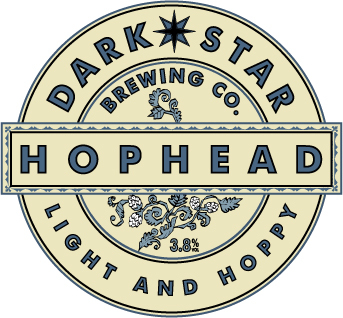 From time to time, in addition to Hophead, we will also be serving other Ales from Dark Star's excellent range.